With the Kiniro Mosaic Pretty Days OVA/Special we have yet another endearing page in what is for me one of my favorite source material used for anime adaptations: the Kirara manga serializations. 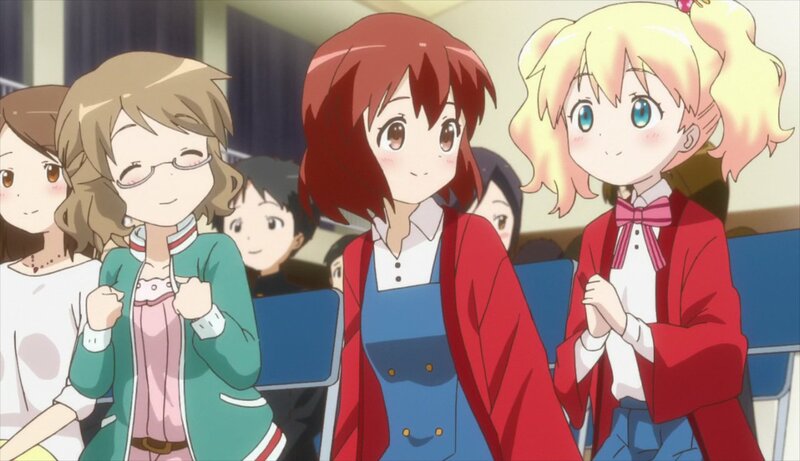 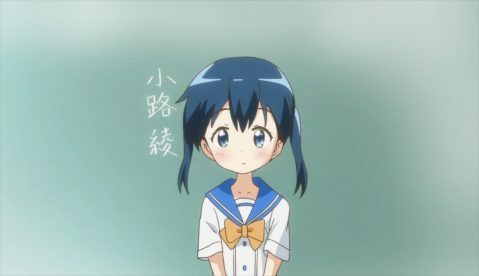 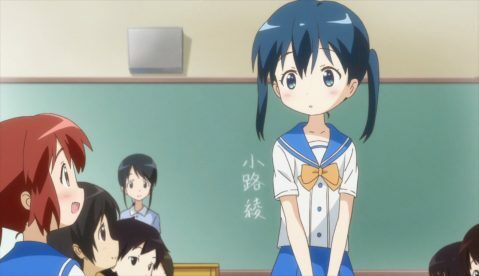 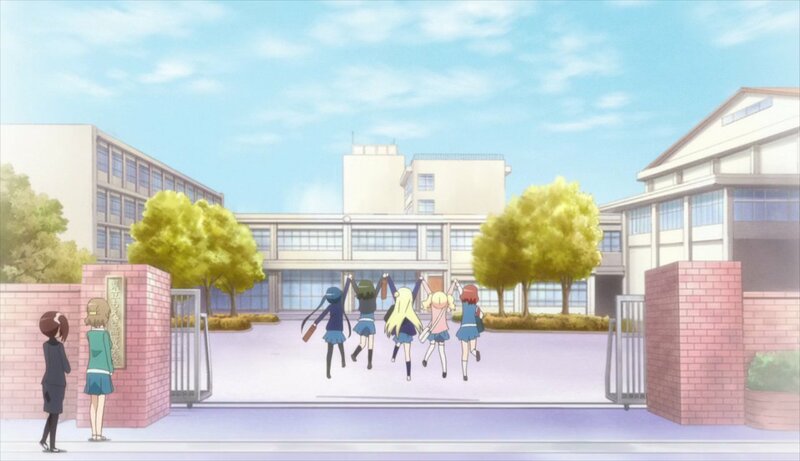 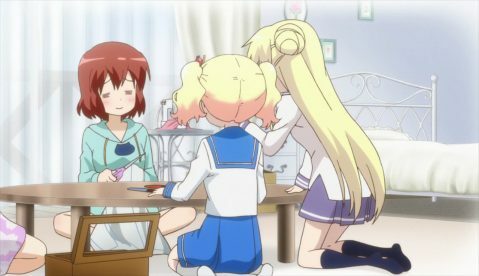 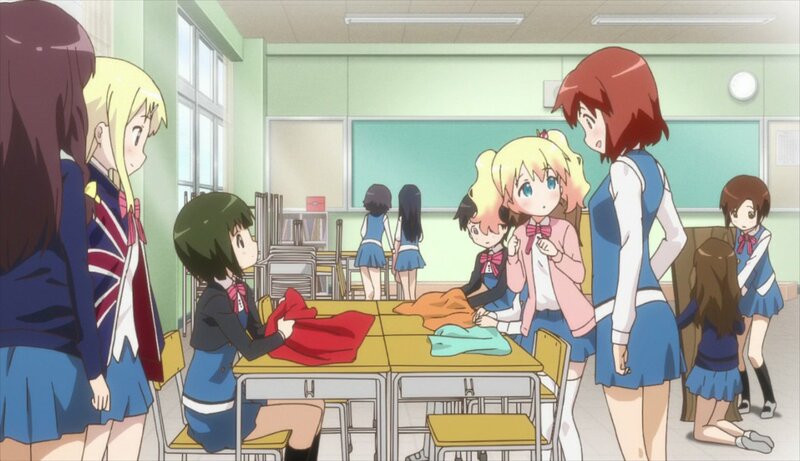 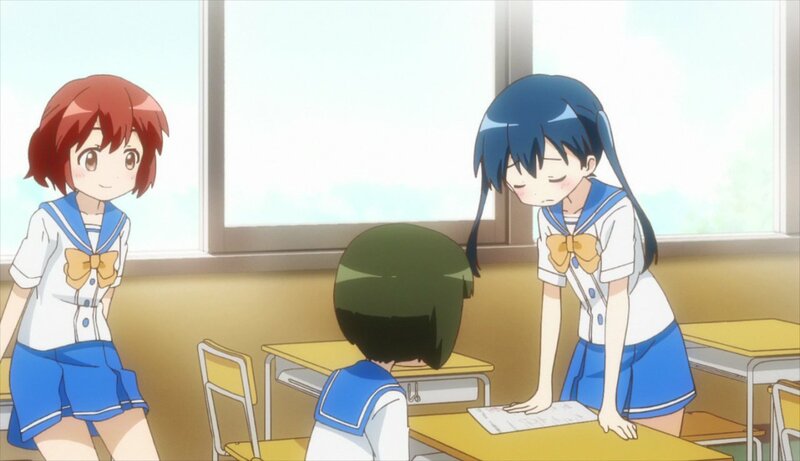 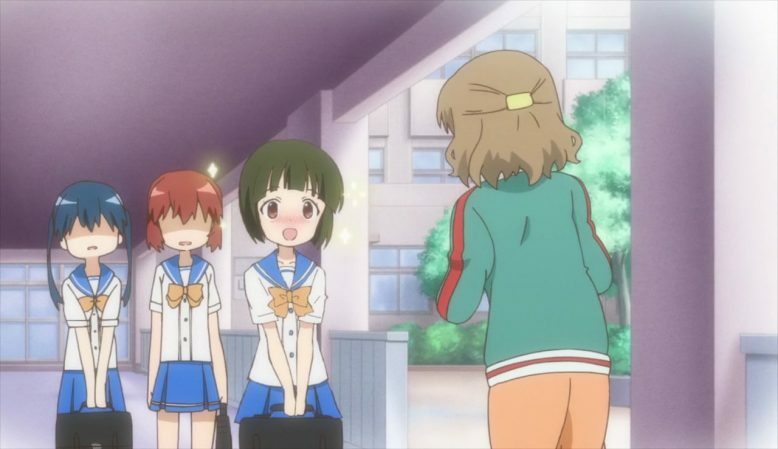 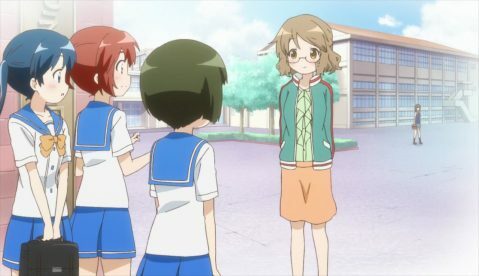 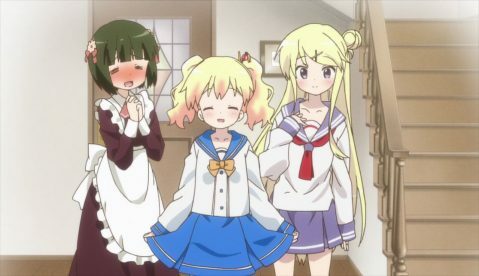 Among the various series that have been so adapted one of the more successful has been this series – some might even argue that Kiniro Mosaic was the pebble who’s success started the recent “relative avalanche” of anime adaptations drawn from the Kirara manga variants (KinMosa was specifically serialized in Manga Time Kirara Max). 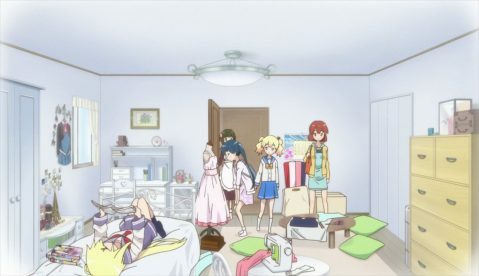 To be sure it was not the first. Perhaps the most successful of them all could be chalked up to either K-On! or Hidamari Sketch. 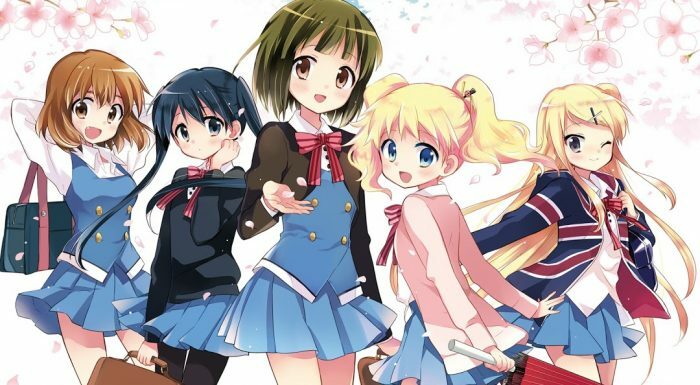 My vote would be for the latter series, whose manga is still ongoing, incidentally, but the argument could possibly be made that each of these series trailblazed the path for Kirara adaptations in different ways. The KinMosa Pretty Days special is primarily composed of two “main parts”, but the main focus of the special as a whole is without a doubt the twintailed Aya, which is nice to see as I have sometimes felt as if she were overshadowed by the other members of the cast at times. 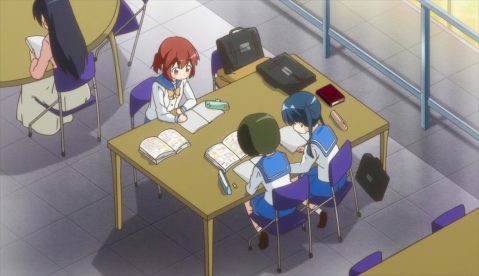 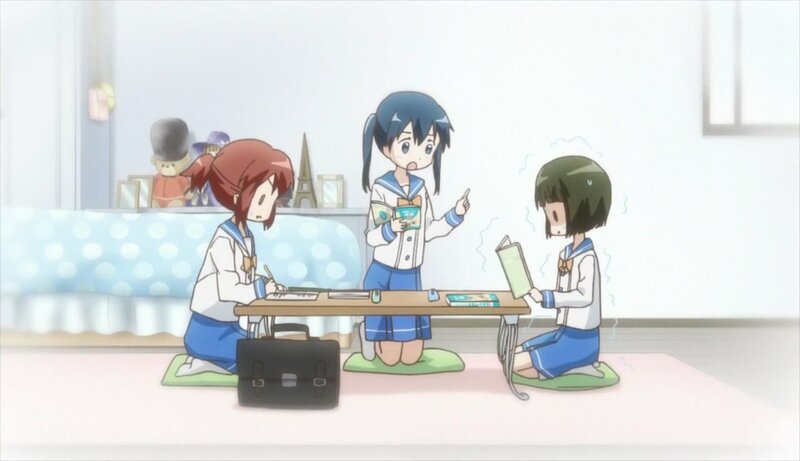 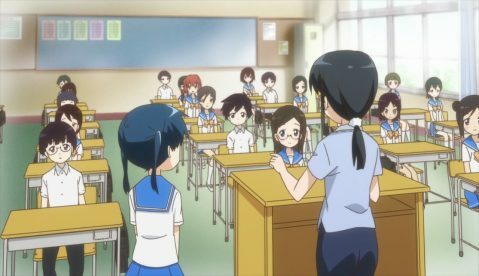 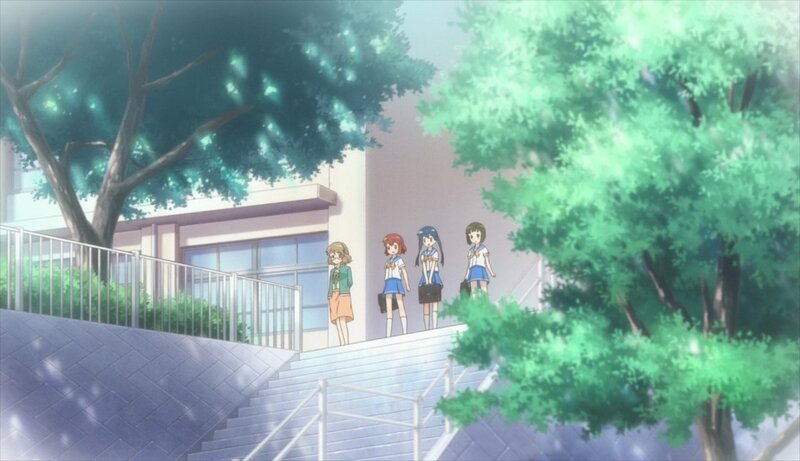 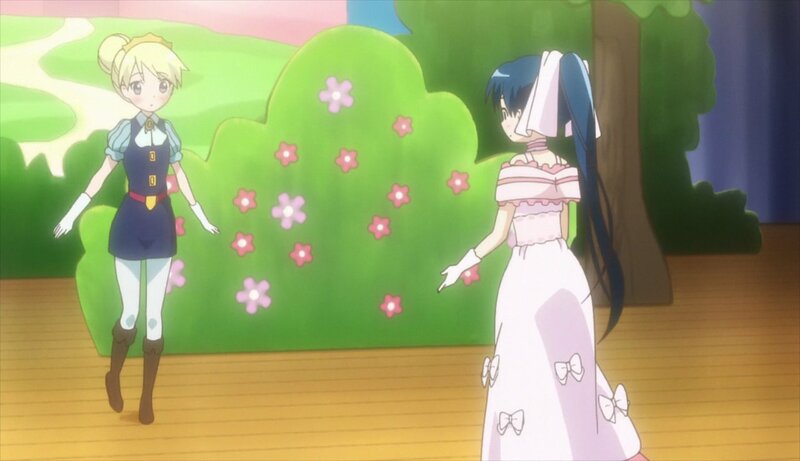 The episode itself actually opens with the first time when Aya, Yoko and Shino all met each other right after Aya transferred to the Middle School the latter two childhood friends were attending. At first glance it is definitely a curious place to begin, but as the episode goes on we see that the main thrust and focus of the content is on the beginnings of Aya’s “history” with the series’ five member cast, but also some of her “contributions” to it as well as aspects of her “place” both in the past and at present. 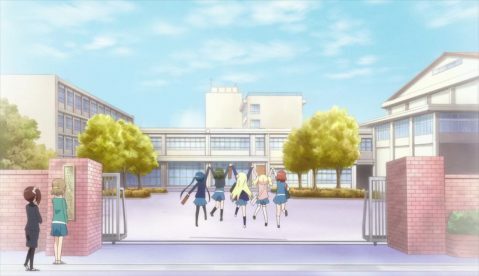 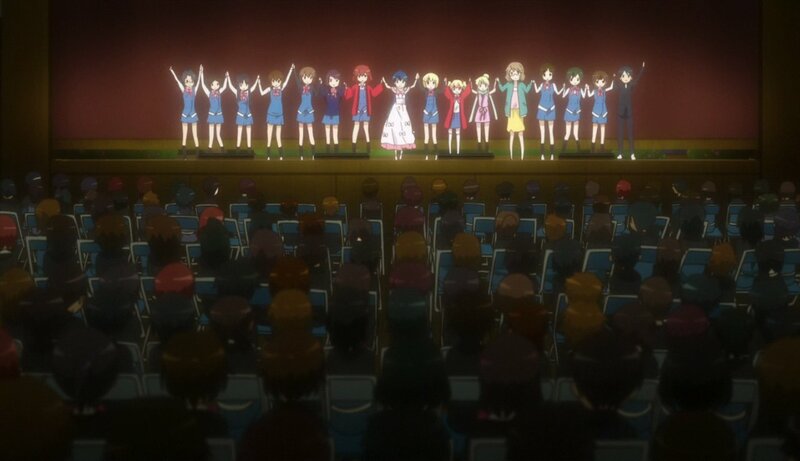 The events taking place in the episode itself are all centered around the School Festival. As we know from Hello! 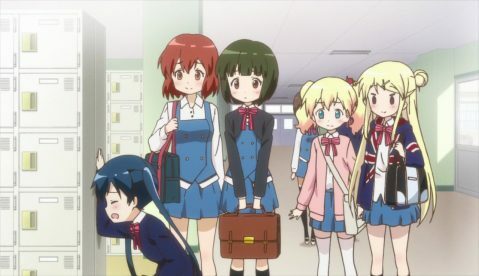 Kiniro Mosaic (aka “season two”) the cast has been split up into two classes during their second year of high school and each class has their project they are contributing to the upcoming Festival proper. The class Shino, Karen and Aya are in have decided to do a stage play, and our gentle-hearted, air-headed Shino is taking a lion’s share in making the costumes – for those who remember she is actually a skilled seamstress, and much more of a “hands on” sort rather than an “intellectual” (like Alice or Aya herself). 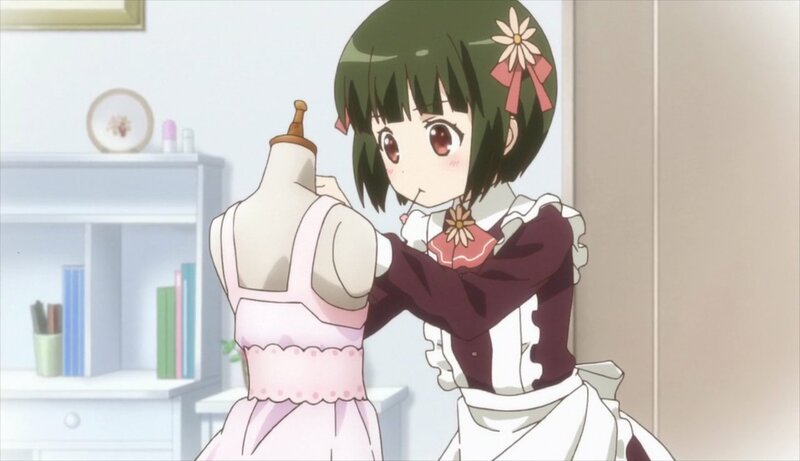 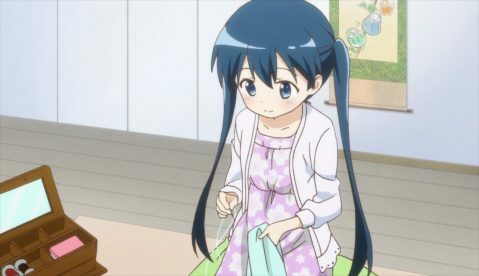 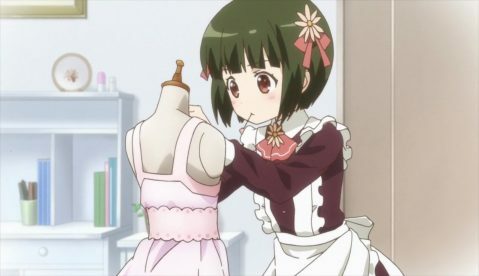 However there is a LOT to do, and Shino is putting in many, many hours both at school and at home into the sewing. 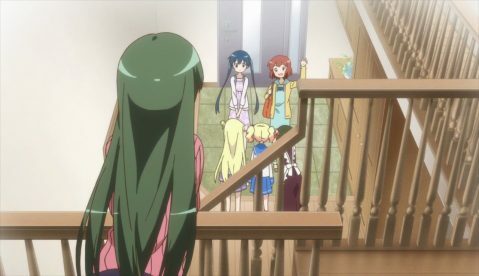 Shino’s friends are trying to encourage her, help out, and support her as they can, and their attempts prove the catalyst for Aya’s musings, memories and the events of the episode. 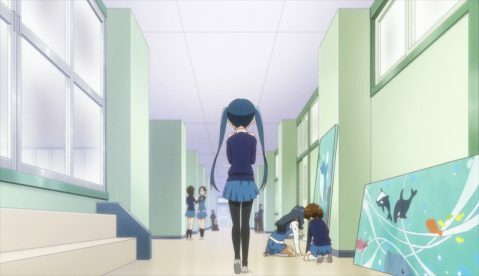 Aya’s concerns and lack of confidence are very much “her” – essentially she has moments where she feels as if she is “the odd man out”, where she does not feel as if she is as important or helpful or supportive or even valued by Shino as much as the others. In her moments of doubt she worries that the foreigner blond combinations of Alice and Karen and the childhood friend status of Yoko all have direct impact and value in Shino’s eyes when it comes down to brass tacks, while she is just kind of “there”, somehow. 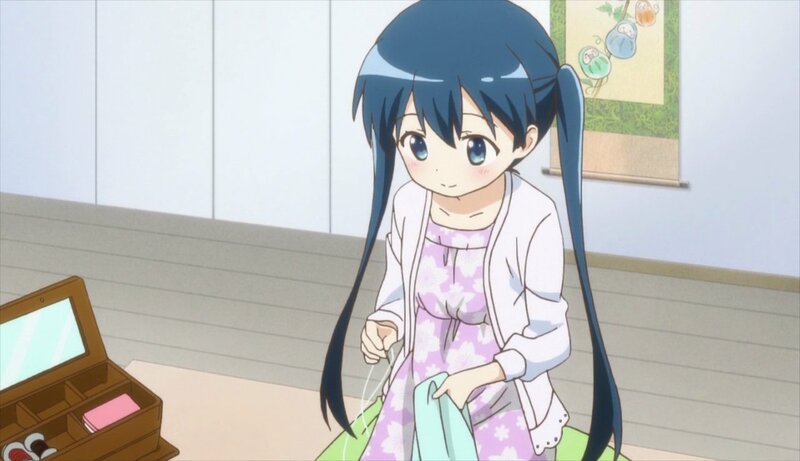 The viewers know that Shino does not think of things like that at all (although I would admit that while I am certain there are ways Shino does NOT think the patterns for how she looks at the world are definitely … individualistic and her own), but as happens with many people doubts come and we temporarily lose sight of things that normally are “obvious” even at the best of times; and this is especially so at that age and time in one’s life. 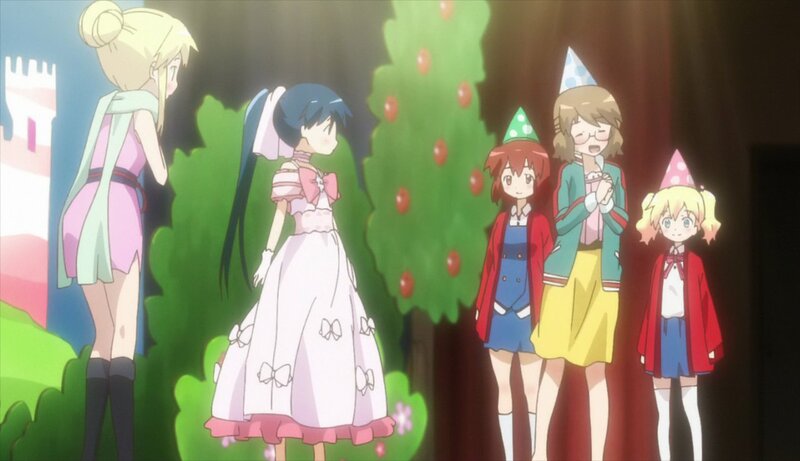 The episode itself ends with the stage play performance itself needing to adapt to last minute changes: the student originally assigned to play one of the leading roles falls sick at the last moment, necessitating a role replacement – and naturally this falls to Aya, who goes on stage in a princess costume only to confront the prince (Karen, of course) who promptly freezes up and “cuts loose” in a fit of very characteristic ad-lib manic energy. Shino rolls with the randomness brilliantly, and after “powering up” by plopping a blond wig on her head (again, of course it would be that) she writes the new scenario for the play on the spot offstage, bringing in all sorts of random characters, events dialogue and weirdness. 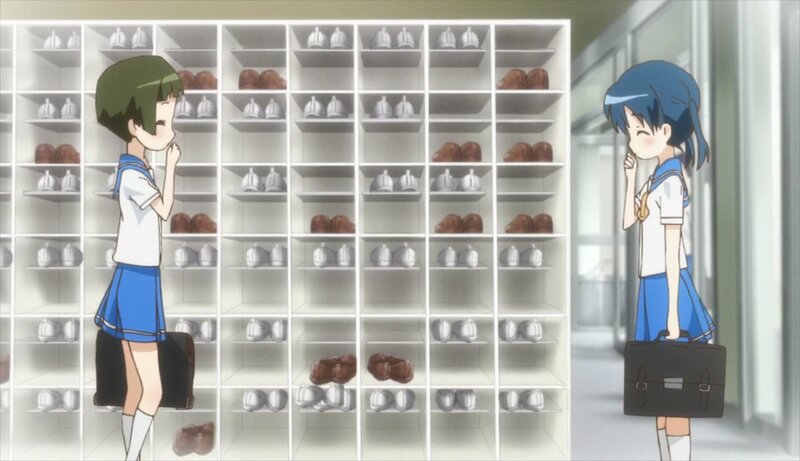 Aya, though initially taken aback, also begins to go with the flow of things, and the play turns out to be successful. 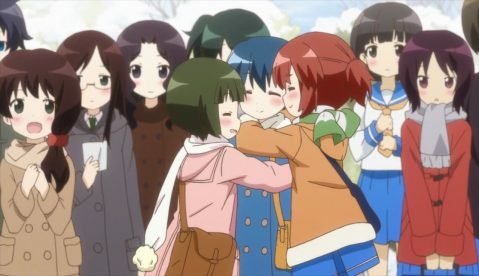 The closing minutes are of Aya with a serene and happy smile on her face surrounded by her close friends.